Monero is a cryptocurrency which functions a bit differently than any other currencies in the digital atmosphere; Monero places entire emphasis on anonymity, transaction obfuscation, and absolute settlement. It is a legal technology, released by a group of anonymous developers and team members, that now possesses over a billion dollars in market capitalization. The Monero protocol states it is a “Private Digital Currency”, that aims to offer users the opportunity to be their own bank and make transactions that are completely anonymized. Monero (Referred commonly by its ticker symbol: XMR) maintains there is “absolute safety” in regards to security and safety of your identity. 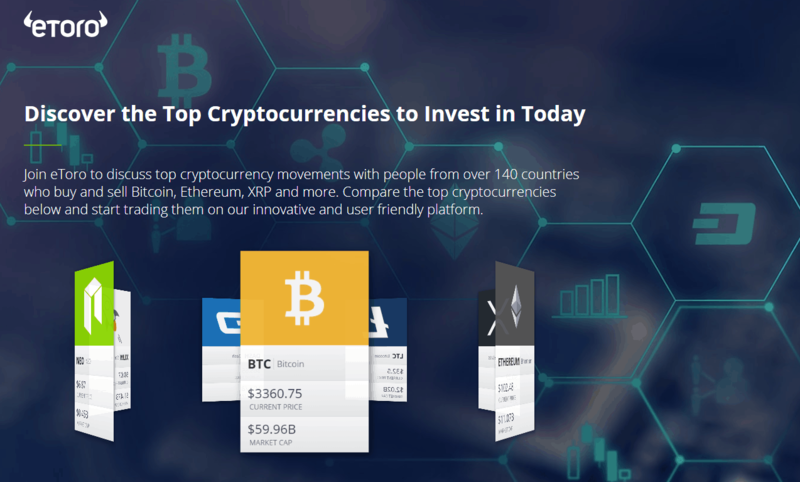 The cryptocurrency is currently one of the largest market capitalized assets of all other cryptocurrencies, and has factually expressed a very high transaction per day volume; in other words, people commonly use Monero, and rather than it sitting in wallets or exchanges, it is fairly active in trading while possessing a fairly large liquidity rate. If you still have doubts as to why you should buy cryptocurrencies, you can compare the best exchanges that offer several cryptocurrencies. Monero, or known on exchanges by its ticker symbol “XMR”, is an alternative cryptocurrency, that functions in a decentralized and anonymous way to enable absolute safety in regards to the identity of your funds. Monero is also theorized as one of the only truly fungible cryptocurrencies, meaning that a certain sent or received XMR (Unit of Monero), can never be blacklisted or classified/put into a group due to the underlying protocol running the Monero algorithm. Understanding Monero’s true technical advancement can be done by quickly looking at how Monero is sent from entity to entity. With all sorts of funds online, whether it be PayPal or cryptocurrency, traditionally there are 3 factors that compose the process of sending something from one party to another, specifically referred to as a “transaction”: A sender, a receiver, and an amount. Every time a transaction is made, information such as date, time received, speed of confirmation, and fees imposed are then usually available at your disposal. With cryptocurrency, all of this information is usually available on the blockchain for virtually anyone to come and see. With Monero, the opposite is the case. With every single transaction made, Monero will obfuscate (Or destroy) the information that says who the funds were sent by, who they were sent to, how much of it was sent, and when it was sent. Since every transaction means another subsequent “obfuscation”, it makes it so that every time Monero is received, it is in theory as good as brand new. This process enables further user privacy and safety. Monero offers privacy through their algorithm that essentially makes it so that it functions almost like a digital form of cash. Transactions carry no information, just as if you were to give cash to your friend. If a user sends Monero, there is technically no visible fingerprint that the said transaction was ever made as opposed to Bitcoin where all transactions are recorded visibly on the blockchain. However, Monero has often been the subject of controversy as well for this reason because it is potentially dangerous for people around the world to make transactions anonymously. There can be a silver lining though, and Monero seems to be wanting to pursue it in allowing for some sort of moderation based off of consensus. Monero is an open source project (Which means you are allowed to develop the Monero framework as you wish), and runs off of the Proof-of-Work (PoW) mechanism. It does not emphasize speed, rather giving up time preference in exchange for absolute anonymity. Monero was released under a pseudonym of “Nicholas van Saberhagen” in 2014, however since then, a group of developers took over the project; to this day, the developers, founders, or any team members at all of Monero are known. Having your own Monero wallet is very important; there are a few types of Monero wallets, however, the most basic are 1.) Exchange Monero Wallets 2.) Software Wallets. Exchange wallets are not your wallets so to speak; they belong to whatever exchange you’re using, but you get to open a wallet with them. You can create a Binance Monero wallet immediately simply by pressing the “Deposit” button next to Monero under the “Deposits and Withdrawal” page. Additionally, you can enable your own software wallet and download it straight through the official Monero website. A link to their downloads page can be found here. (Step by Step) How to buy Monero on eToro? eToro is a CFD broker with 12 years of experience serving its customers. While the broker offers CFD trading for stocks, forex along with other assets, eToro trades crypto outright. That means you are not buying a CFD contract, but the actual coin. At the moment, eToro does not have a Monero trade pair listed, however, it absolutely is possible for the platform within the near future considering the number of new trading pairs they add consistently. 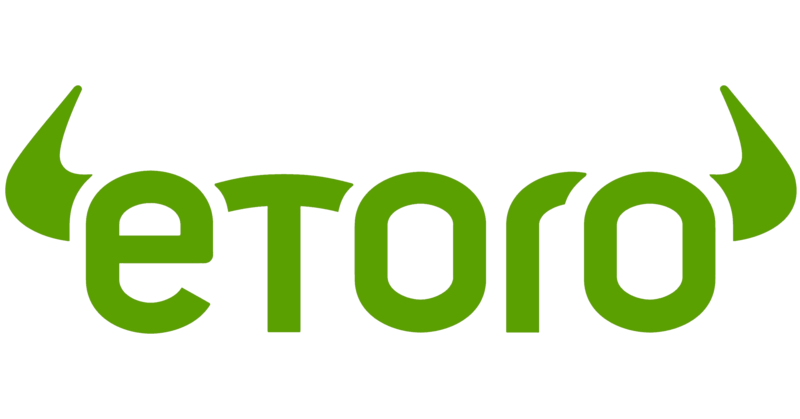 eToro is regulated by the FCA and CySec, which means that it’s one of the most trustworthy platforms in the world. Not only they support cryptocurrencies, but also Forex trading pairs and Cannabis stocks. Created in 2017, Binance has become one of the most popular cryptocurrency exchanges in less than one year. While the mysteriousness around Monero is enough to draw some red flags, it should be noted that Monero is factually proven as a working, usable cryptocurrency. Whether or not this usage is justified, it is in any case absolutely legal to buy and trade and is available on multiple licensed exchanges. Binance is regulated within Malta, its area of incorporation, and has proven high volume and consistently liquid Monero trading pairs; therefore, it is currently the optimal solution for buying Monero (Depending on your jurisdiction). As Binance is a crypto-to-crypto exchange, the service provider does not require you to verify your identity or address. You only need to verify your account if you are trading large amounts of coins, or the operators of the platform detect suspicious activity that is related to your account. But don’t worry, the latter happens very rarely. So, we have replaced the verification step by setting up an important security measure: 2-factor authentication (2FA). You don’t have to worry about that also, setting that up is fast and easy. a href=”https://insidebitcoins.com/visit/binance”>To get started, on the Binance official website, load the home page and on the top right corner of the screen you should see the “Log In/Register” buttons side by side. 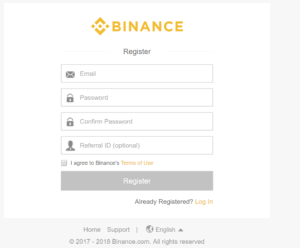 If you have an account, skip further down this tutorial, however, if you do not have a Binance account, continue reading as the resulting steps are essential for investment safety. 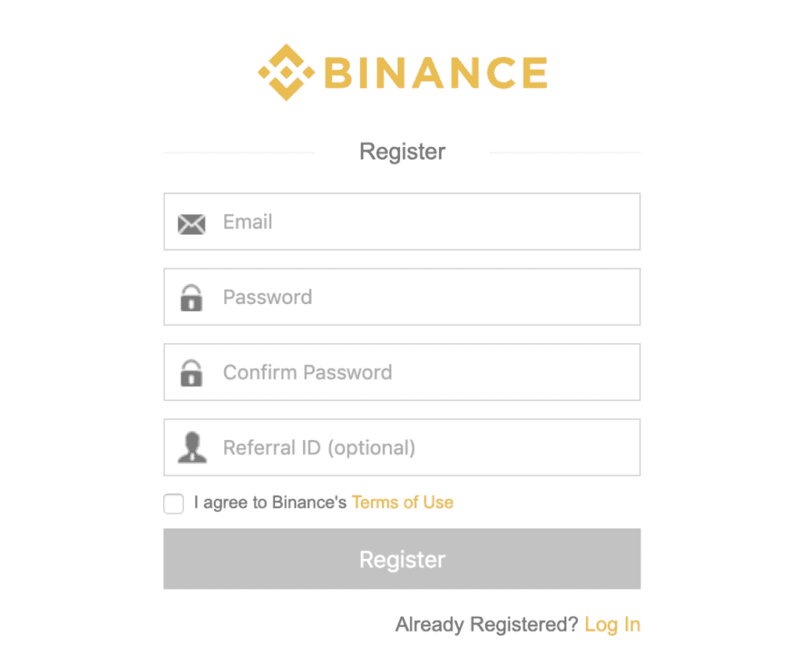 After clicking “Register”, you’ll only need to provide a few pieces of information to open a Binance account (However, please note that this doesn’t mean just because the registration is simple that your account is now completely safe-guarded; you will need to enable further security measures as these are very basic). The information to enter includes a valid, accessible email address, a username, and password. Try to make a complex password using capital letters, numbers, and symbols, especially since this will be equivalent to your portfolio account. Once you’ve entered in the information correctly, you’ll be redirected to the homepage where you can see all of the trading pairs that are available on Binance in addition to a few other announcements, and features of the site, including their incubator and kickstart program. For now, if done successfully, you’ll be able to view your account page. Do so now, and you should see your account security is “Low Security”. That is normal, and while you can still trade under these circumstances, it is advised that you enable further protection so that your XMR purchase is safe and straightforward. The next major step here is to verify your account and enable maximum security when buying our Monero. While many believe maximum security for things that range, such as 2 Factor Authorization, using authenticator apps, and third parties such as phone numbers are just paranoia, these methods are absolutely necessary when it comes to purchasing cryptocurrency, especially ones like Monero. Cryptocurrency is entirely digital, so hackers are after it much more than traditional bank accounts. Protect yourself as much as possible, and although it can be tedious, adding these additional protocols of security will ensure you’ll never have the nightmare of opening an account to see all of your funds were stolen. ID: This means either a driver’s license, valid ID card, or passport. Neither can be expired. Phone number: Make sure you’ve linked your, or a third party accessible phone number. This will be used for receiving codes upon login, so be sure you have access to whichever number you enter. Authenticator App: Traditionally, you will opt for the authenticator app or the Phone Number 2FA, both are very efficient. Email: You should have verified your email address immediately after signing up, however, ensure that the entered email is absolutely accessible, as you’ll receive important notices, confirmations, and 2 Factor Authorization requirements if anything bad ever happens to the account. Now, after making sure your funds are the correct asset to be deposited (In this case Binance Token is being deposited from an external wallet), send the funds from your currently held wallet to the newly generated Binance wallet. If done correctly, you should be able to view your deposits under “Pending Deposits”, which usually confirm entirely after a few verifications. After depositing, we’re then able to purchase Monero. This is the part where you’ll actually “buy” your Monero (XMR). Go to “Exchange” in the top left on the right of the Binance header logo, and then go to the search bar. Type in “XMR”, Monero’s ticker, and find the relative pair you’d like to trade based on which funds you deposited. If you see no supported pairs for your deposited funds, simply exchange them for a supported pair, which will almost always be Bitcoin. For this instance, BTC is used because it is the most global and easily accessible. Under “BTC” markets, once XMR has been typed in, there should be the XMR/BTC market. Select it, and then you’ll be prompted with an order book where you’ll need to specify how much XMR will be purchased and at what price. In this case, XMR was purchased via a market order, which just means it was purchased at the next best price. Monero (XMR) is currently not available for purchase or trading on Coinbase. While the possibility for XMR integration is very possible considering just a few months ago Coinbase added support for a plethora of new cryptocurrencies, so Monero is absolute not only a pipe dream for Coinbase users looking to purchase Monero one day. Plus500 is a popular broker choice that offers CFD trading for multiple assets, including cryptocurrencies. Similarly to eToro, the Israel-based broker is regulated in multiple countries all over the world. Moreover, Plus500 is listed on the main market of the London Stock Exchange (LSE). Trading of Monero is enabled on Plus500 in the form of CFDs (Contract for difference), as well as a variety of other lesser known altcoins. The trading pair for Monero, however, is rather found under the “XMR” CFD (Monero Contract for Difference). Anytime you see the “XMR” and CFD pairing on Plus500, this means the asset in question is a Contract for Difference for Monero. This is the only integration Plus500 currently has for Monero, however, enables to partake in price action of XMR. Buying Monero CFDs with Plus500 is fairly straightforward, especially if you have previous financial market trading knowledge. 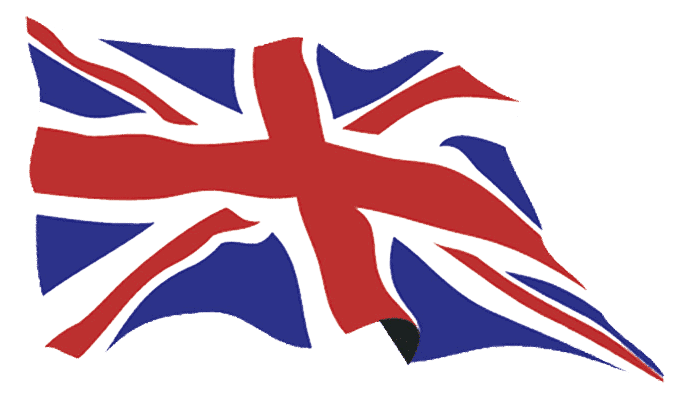 To start, make sure your country or jurisdiction of residence is supported on Plus500. You’ll quickly know whether or not it is upon visiting the site. Once at the site, either navigate to “Login” if you have an existing Plus500 account or click “Start Trading” to create an account with them. To create an account, you won’t need many credentials, but however be wary as you’ll need to provide further information such as ID, proof of residence, and a selfie holding your ID card to confirm your identity. To get started, though, all that is required is an email and password. Once entered, you can begin browsing the platform. Ensure that your email is verified before proceeding as trades or positions in XMR CFDs are not possible unless the account email is verified. Next, you’re encouraged to verify your account and additional levels of authorization, through a phone number or external email. Additionally, you’ll be asked to complete a thorough verification process with the Plus500 team that involves providing personal credentials that confirm your identity. These are all stored privately and according to the platform, are never shared. 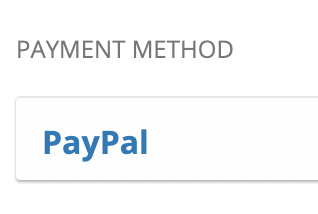 Next, upon verification, you’ll need to add a deposit method. You can do this by navigating to Account -> Funds -> Deposits & Withdrawals -> Add Payment Method. As stated by Plus500’s support team, all added payment methods must be held in the account owner’s name. This means you can’t add business credit cards of accounts, rather you’d have to open an entirely new account under the business name. Once linked, deposit funds from the account you’ve linked to your Plus500 account. Click on the Monero option, and the page for purchasing the XMR CFDs should be shown as demonstrated below. The exchange automatically calculates the best bid and ask price available, so you don’t have to worry about entrance prices unless you absolutely want to. Enter in the amount of XMR you’d like to purchase, press “Buy”, and then you’ll have been allocated your new position in XMR. Buying Monero if you’re from the UK is fairly easy; to do so, you’ll just need to create a Binance, Kraken, or Huobi account, the three most active exchanges that list Monero (XMR). In doing so, you’d follow the aforementioned steps: Create account, verify account, link fiat account, deposit fiat, exchange for Monero (XMR). Buying Monero in the United States and in Canada is a very seamless process as compared to other parts of the world. If you’re a U.S. or Canadian resident, you can easily create an account for Binance and add funds either through depositing cryptocurrency or linking a credit card, and then once deposited you can exchange it directly for Monero on the platform. Once purchased on Binance, you’re free to withdraw it to your own Monero software wallets (Monero wallets do not have geographical restrictions). If you’re looking to purchase Monero in Australia, your best option is more than likely the previously instructed Plus500 exchange. 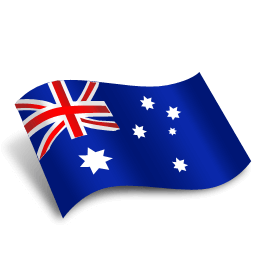 Plus500 offers immediate account access for Australian residents and a pretty quick verification process. 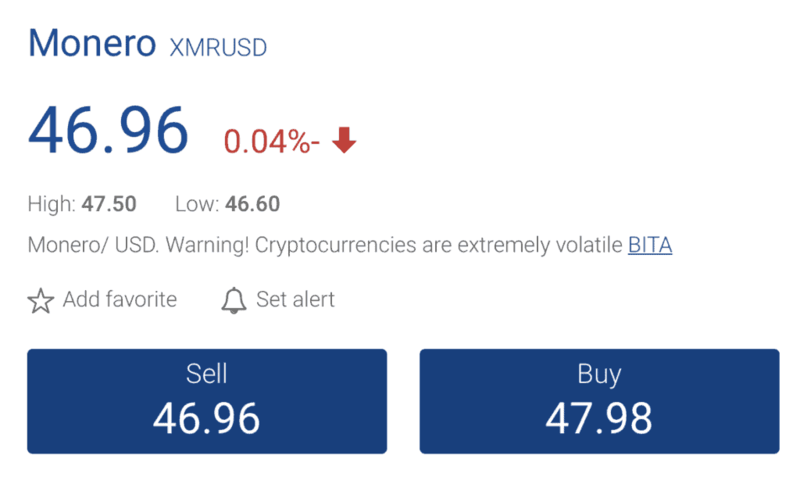 Through Plus500, you’re able to purchase Monero (XMR) CFDs, and begin speculating on the price of XMR. Additionally, you can purchase XMR from Binance if you are in Australia as well. Either exchanges are not restricted in Australia. Buying Monero, in most traditional context, means that you’re simply buying the cryptocurrency so that you can send it to others, use it online, or extract some form of usability from it. “Buying” is traditionally cross-linked to “holding”, meaning your intention of purpose is not immediate price speculation. Trading Monero, however, means you are not purchasing Monero for the purpose of using it, rather only looking to speculate on price action of the cryptocurrency; in these cases, “trading” Monero typically means you’re not holding it, but rather correlating the purchase to a speculative price movement. The following is an example of buying vs trading Monero: A user logs on to eToro and opens the “XMR/USDT” trading pair (Monero being exchanged for Tether) and makes a buy order at the next best possible price, and predicts the price of XMR will increase 5%. XMR increases 6% in 10 minutes, and the trader sells his XMR back to USDT. In this case, the user was trading Monero. Now, let’s say that same user logs on to Binance and exchanges their Bitcoin for Monero through the “XMR/BTC” trading pair. Then, once purchased, the user withdraws his Monero to his personal wallet, and saves it to purchase a new music album that is released next week. In this case, the user is not trading Monero, but rather buying it so that he can use it to purchase a new album. Keep in mind, these are not the only definitive definitions of buying vs. selling Monero, only the most traditional one. You own the Monero you purchase, you have the right to move it, sell it, and transfer it as you wish. How to trade Monero with a trading robot? If you’re looking for the best cryptocurrency robots to trade XMR, you need to proceed with caution. Since all XMR transactions are anonymous, many robot scammers who build fake algorithms and advertise their programs as money makers are in fact fake. There are some robots, however, that allow you to select specific cryptocurrencies to trade. Bitcoin Code is an example of this. After being reviewed by InsideBitcoins, it was discovered that an individual asset selector feature exists, where you can choose XMR to trade only automatically. For example, the following is where you’re able to select which pairs the robot trades. Another great robot is Cryptosoft, which performs the trades based on the signals received in the recent market trends. These methods pose a higher risk due to volatility, but can offer higher reward. You can purchase Monero directly with a credit card by logging on to Binance and utilizing their new credit card payment option. Then, you can purchase any XMR paired asset such as Bitcoin and exchange it directly for Monero without ever leaving the Binance platform. Monero is currently not directly exchangeable via PayPal, however, you can use any exchange that supports PayPal to purchase Bitcoin and then deposit that Bitcoin to other crypto exchanges such as Binance to exchange for Monero. The most traded Monero (XMR) pair is XMR/BTC. This means that to purchase Monero, you’ll need to first purchase Bitcoin (BTC) and then exchange it for Monero (XMR). You can do this all inclusively on Binance. Buying Monero with Bitcoin would look as follows Buy Bitcoin with Credit Card (Or other fiat method) –> Find the XMR/BTC pair on Binance –> Exchange your BTC for XMR –> Execute trade, and Monero has been successfully bought using Bitcoin. In order to sell Monero, you can follow the same exact steps as instructed for any other exchange, up until the point of having to create a buy order. 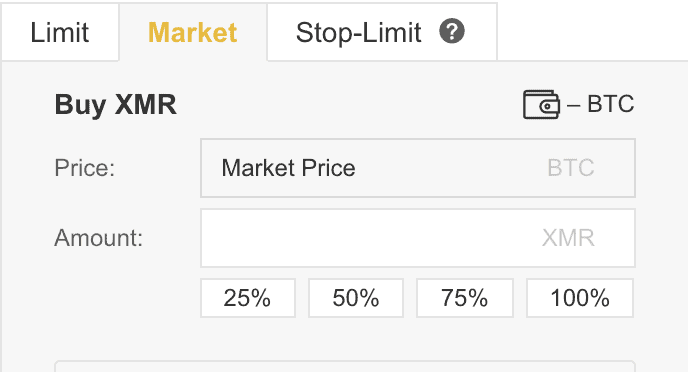 Instead of creating a buy order like shown on Binance and Plus500, the user will have to create a sell order instead. This is done simply by initiating a market order (An order that is executed as quickly as possible at the next available price), or through a limit order (An order executed based on specific price dimensions). In any case, selling Monero requires that before anything you have Monero in your account or exchange you plan to sell on. For example, to sell on Binance, the process remains the same and assumes you have XMR already in your account. Once completed, find the pair you want to sell Monero for (In this case, the XMR/BTC pair is used, meaning Monero is being sold for Bitcoin). You can do this just as done earlier via the search button on the exchange and typing in “XMR” under the BTC markets tab. Then, below the graph, enter in the desired “Sell” amount. If price is not important, then select a market order as this will execute fast and regardless of what price is achieved. If the price of your order is important and you’re not in a hurry, then select a limit order and specify your parameters. Once entered, press the “Sell” button located towards in red the bottom and then simply wait for the execution of your funds back into fiat or any other pair you selected; in the above case, XMR is sold in exchange for BTC. Monero is a very intriguing and complex cryptocurrency that offers complete privacy in the transaction of funds, however, it can come at a cost at some points. Because the model deals mainly with emphasis on anonymity and security, Monero sacrifices speed and agility as a result. However, it seems as if XMR is one, if not the only true anonymous cryptocurrency. When purchasing cryptocurrency , especially ones like Monero, things can seem fairly complex and with good reason. Buying Monero on Binance or Plus500 is fairly straight forward, despite the underlying framework of Monero being very delicate. XMR is a relatively new asset that functions atop a very complex foundation. While Monero does come under scrutiny for its danger in being completely anonymous, the projected future of its developments and promises from the development team are demonstrating that the issues are acknowledged, and that working towards a better, more secure payment system seems to be the utmost motive of Monero. If you like to receive articles like this into your inbox along with Monero news, be sure to subscribe to our newsletter. Monero was released under a pseudonym as an open source project and was then recovered by anonymous developers. Monero is not illegal. However, it has received controversy for the fact that it can theoretically be used for illegal purposes. It’s similar to a weapon; are all weapons illegal? No, but they can be used for illegal activities such as robbery. What is the best place to buy Monero? Binance is the most global, secure exchange to purchase Monero at the moment. How can I keep my Monero safe? Try to enable as much security as possible; this means incorporate multiple authorization methods to any wallet or exchange you’re holding your funds on. Additionally, always double check for legitimate wallets, and always be on the lookout for phishing attempts. Am I Missing Anything Else? 3 (Step by Step) How to buy Monero on eToro? 6 How to trade Monero with a trading robot? 8 How to sell Monero? In terms of privacy which is better monero or zcash ? Everyone claims how Monero functions a little bit different than other coins. Did you have some problems to get used to it? I prefer buying from Binance, article is written comprehensively.